Erin Mulligan Nelson surprised many peers in 2010 when she quit her post as CMO of Dell, one of the world’s leading PC manufacturers and a $65bn Fortune 50 company, to join a start-up focused on social data. 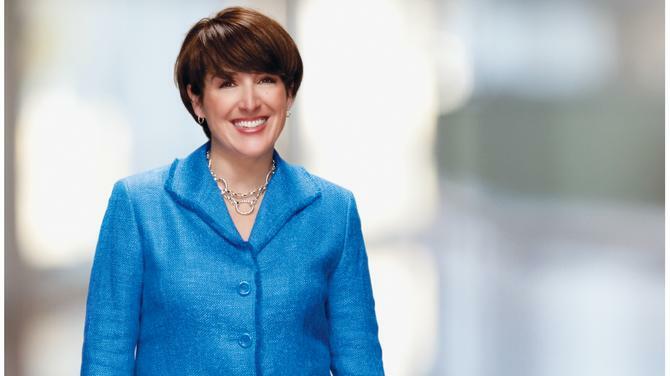 But after 11 years with the enterprise giant, preceded by a stint in consumer packaged goods at Proctor and Gamble, she was looking for a different challenge. Nelson made that leap in March when she was appointed president of social marketing solutions company, Dachis Group. The US-based business started as social media consultancy and has spent the last year building a social data platform for marketers, ramping up its sales team, investing in marketing capabilities and preparing itself to help marketers wade through the wealth of social data to deliver better business efficiencies. Nelson was initially drawn to the marketing discipline as a way of combining her interests in commercial engagement and human psychology, and she remains fascinated by the art of compelling people to desire brands, products, take actions while looking at pricing, positioning and product strategy. The rise of analytics and science in modern marketing fits well with her approach to marketing as a discipline, but she still believes the best professionals can blend both. “You can measure an awful lot but there’s still the ability to get inside a target’s head and understand what will compel them to act,” she claimed. “You can’t always quantify how that is going to work. The best marketers are the ones focused in on and utilising data to drive decision making, but who have a healthy understanding of the marketplace and know when intuition ought to kick in as well. “It’s not just a simple ‘in comes x, out comes y’ equation on any of it. The best marketers are the ones who figure out how to define the right data and insights to make big decisions around who to target, how to position, how to go to market and price. In addition, more and more CMOs are being asked to drive change in their organisations. Nelson believed this was because they have grown into the chief customer officer’s post in recent years and must lead the way for delivering against customer and market needs. Ironically, one of the biggest challenges for CMOs staking their claim to leadership is articulating what their job entails and measuring their performance against defined responsibilities. According to a recent Economic Intelligence Unit report, there remains a lack of clear consensus on the CMO’s identity not only across the c-suite, but also with marketing chiefs themselves. “Not three of the CMOs I’ve met or dealt with as clients have the same job description,” Nelson pointed out. “Sometimes you have CMOs who are responsible for product innovation and development, some who are responsible for customer strategy, and some who are responsible for business development. “Look at CFOs as a comparative example: it’s clear what CFOs do. They manage accounting, treasury, financial planning and analysis, and pretty much every one has the same job description. That means it’s fairly easy to consistently measure and manage how a CFO is performing versus their colleagues. Nelson said her experience in product development, managing sales and marketing have well-prepared her for the step up from CMO to the top job at Dachis Group. “Joining Bazaarvoice then Dachis Group is like slipping on a pair of comfortable shoes in that I’m marketing to marketers,” she explained. “I have also had experiences where I already felt incredibly accountable, so being president doesn’t feel that different from other roles I’ve previously held. While coy about revealing too much of the product roadmap at Dachis Group, one important focus for the company is how organisations think about activating their employees. Nelson claimed there’s an ability to drive selling and social selling process that didn’t exist five years ago. “It requires marketers to figure out the right content you want your frontline people to share with their social ecosystems, how you enable that, and how you make it easy and fun for them,” she explained. Given Dachis Group’s focus on social data, it’s clear the company is on the cusp of technology innovation driving how marketers embrace the new wave of two-way customer communication. This means Nelson has the added challenge of a swiftly changing competitive landscape. Whoever wins the vendor jostle, there are a tremendous number of ways today to drive value in the marketing ecosystem that technology is just starting to open up, Nelson said. “There’s a real opportunity to build great platforms and capabilities to process what is the greatest amount of data we have ever seen. The question is, what do you do with it?” she asked. “This whole earned media marketplace has only developed over the last five years. How to activate audiences and content inside of this is an entirely new opportunity for marketers to engage with customers and drive value that never existed before. 1. Data and technology fluency: Nelson said modern CMOs should become fluent enough to understand what the organisation needs when it comes to data. “With the rise of data and the capabilities we have today, you need to understand what you need and how you deploy it effectively in the organisation,” she claimed.